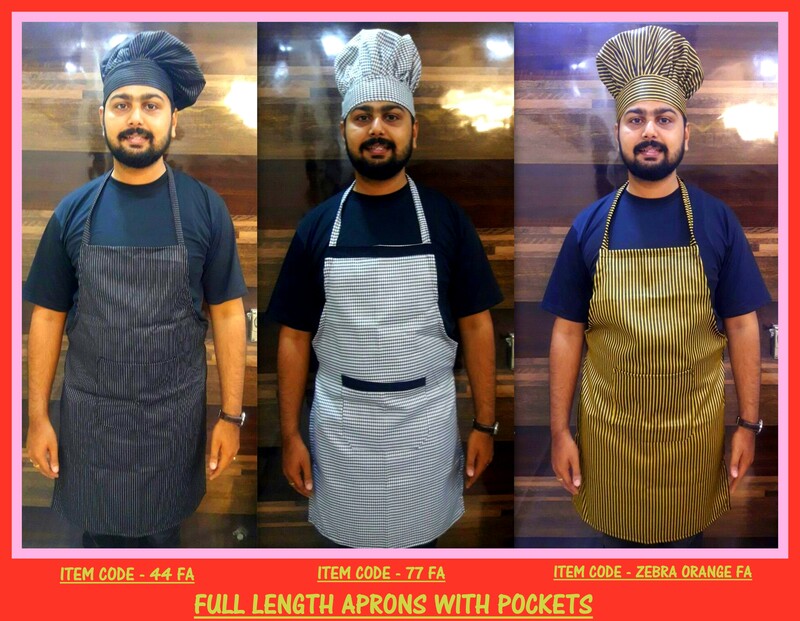 Chef Aprons – Full length aprons with pocket in front !! 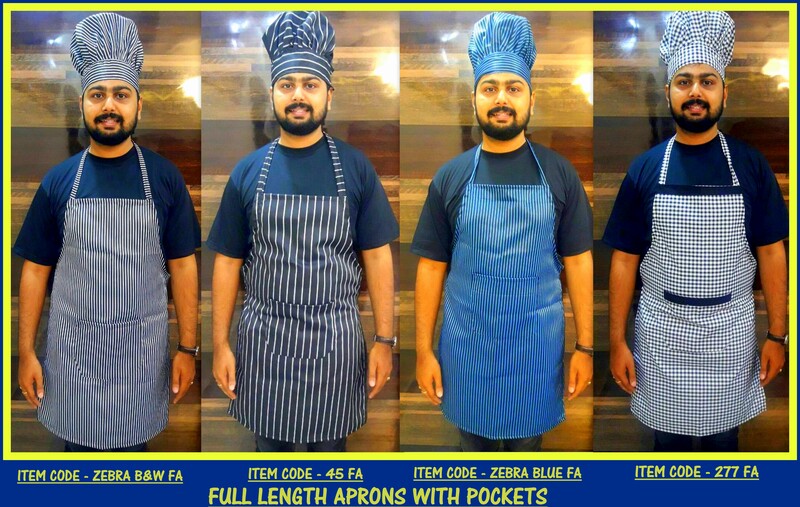 RSM Uniforms now have ready stock of full length aprons in Chennai. These aprons are made from heavy quality polyester viscose material and has a pocket in front. These aprons has a soil release finish and gives you full length protection. Has a good wide neck strap and a longer waist strap. One size fits most. Purchase confidently from RSM Uniforms. Available in all colors and designs as displayed here. Comes with huge pocket : Perfect to put cooking gadget and coordinate with your kitchen for baking, cooking, serving, crafting and more. Perfect gift with customized logo area : Huge space for logo printing, monogram and embroidery makes the apron a great gift for birthdays, holidays and housewarming. Washing Tips : Wash with cold water in gentle cycle and tumble dry low. Do not bleach them or run them through a hot dryer to prevent them from shrinking too much. Call us now for your requirment of Aprons in full length. It doesn’t matter which part of India are you from. We are just a call or mail away to know your Uniform needs. Happy to help you.